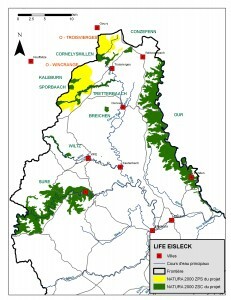 species in the Luxemburgish Ardennes mountains. On 14th June 2012 the Life + selection committee of the European Commission accepted an ambitious nature conservation project in Luxembourg. 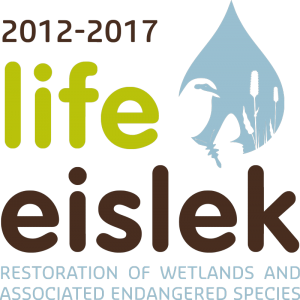 The objective is to continue the restoration of wetlands and the associated species assemblages. Life Projects are co-financed by the European Union and aim at restoring an ecological infrastructure with particular emphasis on improving the conservation status of biotopes and species’ habitats that are targeted by the Nature 2000 network. natur&ëmwelt – Fondation Hëllef fir d´Natur has associated itself to several partners, such as natur&ëmwelt asbl, the Comité national de défense sociale (CNDS) and the Chamber of agriculture to bring this ambitious project to a successful end. * Violet copper – Lycaena helle (Denis et Schiffermüller, 1775), as a typical glacial relict species, this tiny butterfly is in Luxembourg limited to the wetlands in the north of the country (Éislek). Its populations are often very small and tend to be isolated. The species only occurs in abandoned or very extensively managed wetlands with sufficient protection from the wind and with appropriate cover of the Common bistort (Polygonum bistorta), the larvae’s only food source. * Whinchat– Saxicola rubetra (Linnaeus, 1758), a migrating bird of the Muscicapidae family (flycatchers). As a ground breeding bird, the Whinchat in Luxembourg tends to be restricted to wet grasslands near rivers and streams as well as swampy areas, which are traditionally farmed much later in the year. Whinchats are insectivorous and feed on a large variety of insects and other invertebrates, which they tend to hunt from atop an elevated perch (shrubs, perennials, fenceposts). * Red-backed shrike – Lanius collurio (Linnaeus, 1758), a carnivorous migratory bird of the shrike family (Laniidae), which in the Éislek region occupies mosaics of open habitat, rich in hedges, shrubs and extensive meadows. Red-backed shrikes tend to set up their territories in close vicinity to patches of recently clear-felled areas or fallow land, as these tend to be particularly rich in insects (and other prey species). As the species uses a “sit-and-wait” hunting technique, elevated perches (fenceposts, trees, shrubs, etc.) from which birds can survey their territory, are vitally important. Increasing the amount of available information and raising environmental awareness of the general public and farmers in particular.